Bathabile Dlamini, South Africa’s minister of social development, made this comment in New York on 19 March 2016, when she was on an official visit. Dlamini, who is also president of the ANC Women’s League, was answering questions on revelations that the Gupta family exercises an untrammelled influence on the president of the ANC and the country, Jacob Zuma, enabling them to secure lucrative business contracts from the state. Dlamini made her comments while the ANC’s NEC was in the midst of a three-day meeting where the subject of the Guptas’ political influence on the ANC government was discussed. The meeting was preceded by wide-ranging speculation, including the possibility that Zuma may be recalled. This would have been occasioned by the fact that such influence suggests a corrupt relationship and a breach of party discipline. The executive committee had no choice but to table the subject following damning revelations by senior ANC figures that they had been either offered jobs or lent on by the Gupta family. The most startling was a public statement from deputy finance minister Mcebisi Jonas in which he said that the Guptas offered him the ministry of finance post in return for favourable lucrative decisions. It is unlikely that Zuma could be directing the awarding of contracts towards the Guptas without receiving any benefits in return. Already his son, Duduzane Zuma, has suddenly become a wealthy businessman owing to his ties with the Gupta family. His assets include a stake in a company that has mining interests, on whose behalf the minister of mineral resources, Mosebenzi Zwane, reportedly intervened to secure a business contract. The son may well be a proxy for the father. It appears therefore that Zuma’s presidency is founded on a patron-client network. The problem predates his presidency. His financial needs previously made him vulnerable to patrons such as Schabir Shaik. It became evident in Shaik’s trial that he was the initial patron who financed Zuma’s lifestyle. Shaik’s subsequent imprisonment shut down that source of income. By all accounts, the Gupta family has filled the vacuum. Zuma’s relationship with the Guptas appears to have guided the configuration of his government, and appointments into cabinet and state-owned companies. Some appointments seem to have been made on condition that appointees favour Gupta-owned businesses in awarding business contracts. This conduct appears to have become the norm in the Zuma presidency, possibly extending the pool of clients (or beneficiaries) beyond Zuma himself to include his ministers and state officials. This explains Dlamini’s statement that “all of us in the NEC have our small skeletons and we don’t want to take out all skeletons out because hell will break loose”. The debate at the ANC NEC meeting showed that there is resistance to keeping the “skeletons” hidden. The implication for the ANC is that Zuma is not entirely answerable to the leadership collective. Although the presidency bestows certain prerogatives on its occupant, the expectation is that they be exercised in line with party discipline and to uphold the integrity of the organisation. Being under the spell of a company owned by a family of foreign extraction — the Gupta family arrived in South Africa hardly 15 years ago — is unflattering for an African liberation movement. It suggests a betrayal of its historical mission. The ANC’s raison d’être is not only the emancipation of blacks in general and Africans in particular but also restoring their ownership of material resources. This explains official policies on land restitution and black economic empowerment. Expecting Zuma’s recall, therefore, was not far-fetched. His presidency has been usurped by expatriate capital, to the neglect of the aspirant indigenous business. Instead of recalling Zuma, however, the ANC’s executive committee reiterated its confidence in his leadership. Zuma retains his job, but he is no longer unchallengeable. His detractors have dispensed with silence for a full-blown confrontation. They’ve always known of Zuma’s patron-client relationship with the Guptas, but now they’re emboldened to confront him. The difference now is the timing and the future prospects of individual politicians. 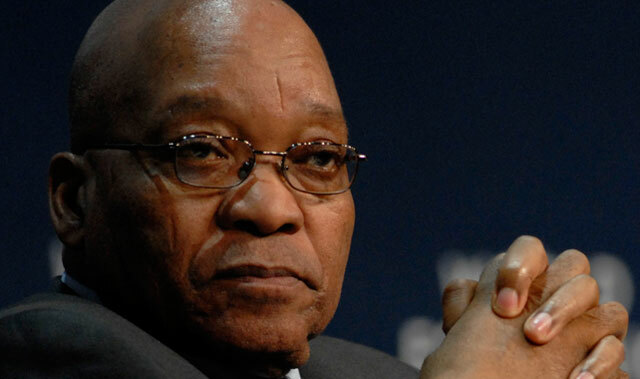 Zuma’s term as ANC president expires next year. The succession race has, consequently, started. This means individual politicians have to pick a side between Cyril Ramaphosa, current deputy president, and Zuma’s favourite, Nkosazana Dlamini-Zuma. Picking a winning side on time determines one’s future prospects. But that’s not the only determinant. The ANC still has to perform relatively well in the local elections coming up by August and in the 2019 national elections. Voters are likely to punish the ANC for Zuma’s impropriety. Already support for the party has dropped by roughly 7% since Zuma became the face of its campaigns in 2009. A further drop in electoral returns means fewer seats in municipal councils and in parliament. Confronting Zuma, therefore, is not only about securing the career of individual politicians, but also rescuing the integrity of the liberation movement. The two are inextricably linked. If Zuma’s detractors are emboldened by self-interest and conscience, Zuma’s defenders are hardened by fear of possible reprisals. Zuma’s removal from office would not only spell the end of business to the Guptas, but also possible legal action. Their businesses may possibly be found to be proceeds of crime and, if proven, could be confiscated by the state. For this reason, the Guptas expect protection from their clients in the NEC. Their expectation is based on their pay-backs to these individuals. They also have the added leverage of information, which they can release publicly to disclose who got what. This is the threat they issued to Jonas in their retort to his revelations. The threat was targeted not only at Jonas, but also at everyone else thinking of coming forward with information about their impropriety. The Guptas will not go down alone. They’ll drag the ANC down with them. This is what counted against a precipitous decision to recall Zuma. Setting up an enquiry is the best the ANC could come up with at the moment. They’ve bought themselves time to work out a resolution that satisfies the public, while somewhat saving face. Zuma allies will most likely intimidate possible witnesses from disclosing implicating evidence, as they’re already doing with Jonas. But it is unlikely that the scandal can be suppressed. Expectations of censure have been raised. Some will not be intimidated from disclosure, which means further revelations that will feed public outrage. This scandal is beyond ANC machinations. They have to respond to the public outcry, or suffer further electoral losses. This means dealing with the saga in a way that demonstrates the party disapproves of such impropriety. The enquiry will not lead to concealment, but is just the beginning of an unravelling.